Bonnie and June have been adopted! 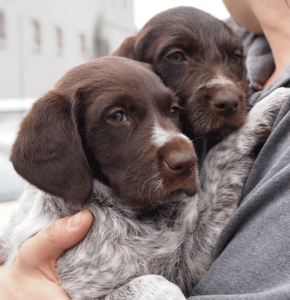 These two female GWP/GSP mix puppies have been placed into their forever homes through a collaborative effort between PAW FUND and NorCal GSP Rescue. The pups came into PAW FUND’s program, where they were fostered and received the medical care they needed. We assisted with the application process and pre-screening of adoption candidates. Check out the good work that PAW FUND does in the San Francisco Bay Area. Congratulations to the Pointer Sisters on their new homes!